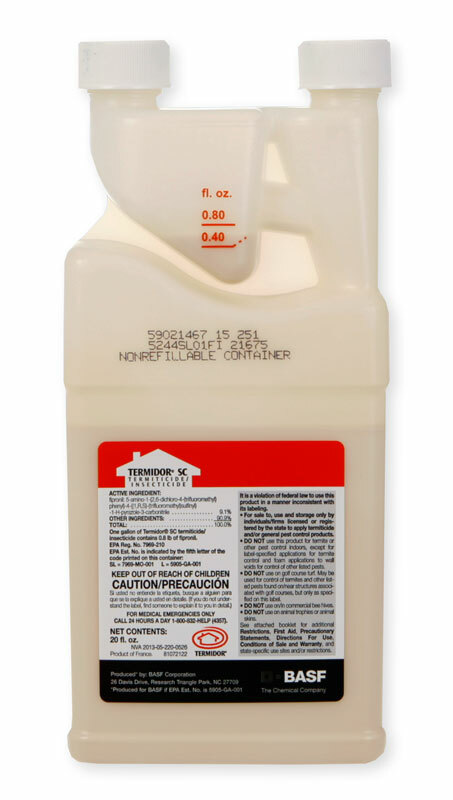 How do I know how much termite foam agent and poison to buy? I have about 35 ft of wall to foam. The gap 1/2ft. I was told by Orkin I have termites in the wall of my front two bedrooms, exterior walls. I figure I need to foam about 35 ft of wall. I need to know how much foaming agent and poison do I need to cover that much space. The space in the wall is about 6 in. I will be using the apox $60 foamer. I read you only need to spray six inches of foam. Drill the holes six inches off the ground? Thanks for your help. Yes, make a small hole with a large nail (not a drill bit), through sheetrock about 6 inches above the floor. This eliminates the dust. Then foam inside each wall void. On the first void, it helps to make 2 holes, one directly beside the first and when foaming wait for the foam to reach this hole. Time it by seconds with a watch to know exactly how much to foam inside the other wall voids. This works if all of the studs are the same distance apart. You are going to need at least a 20oz Termidor and an 8 oz Platinum Foam Foaming Agent to do this with a wall foamer such as the Solo Foamer. How much actual foam you will need can only be determined by "timing" it and figuring out the actual amount of foam. Normally, it takes about 2 gallons of pure foam for each wall void. The 20oz Termidor should be enough. You might need additional foaming agent, but again, not certain. You might purchase (2) 8oz foaming agents just to be safe. Thanks Ron that helps. I'll get one Termidor and two foams.